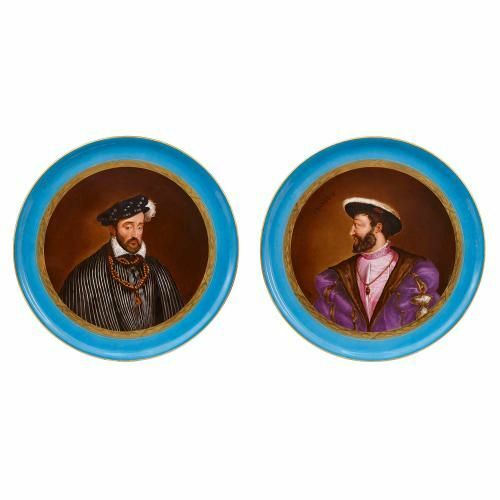 These finely detailed porcelain plates depict portraits of the French Renaissance kings Francois I and Henry II, painted after portraits by Clouet and Titian. 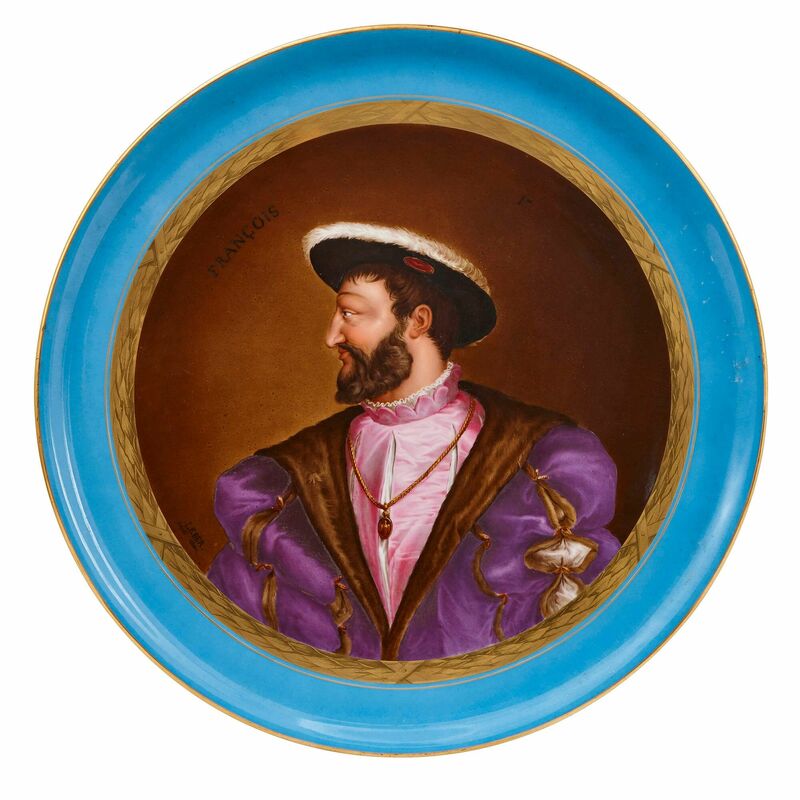 These highly unusual and large plates feature exquisite colouring and gilding, but are perhaps most impressive for the portraits of French kings which adorn the centre of each plate. The kings depicted are Francois I (also known as Francis I, reigned 1515-1547) and his son Henry II (reigned 1547-1559). 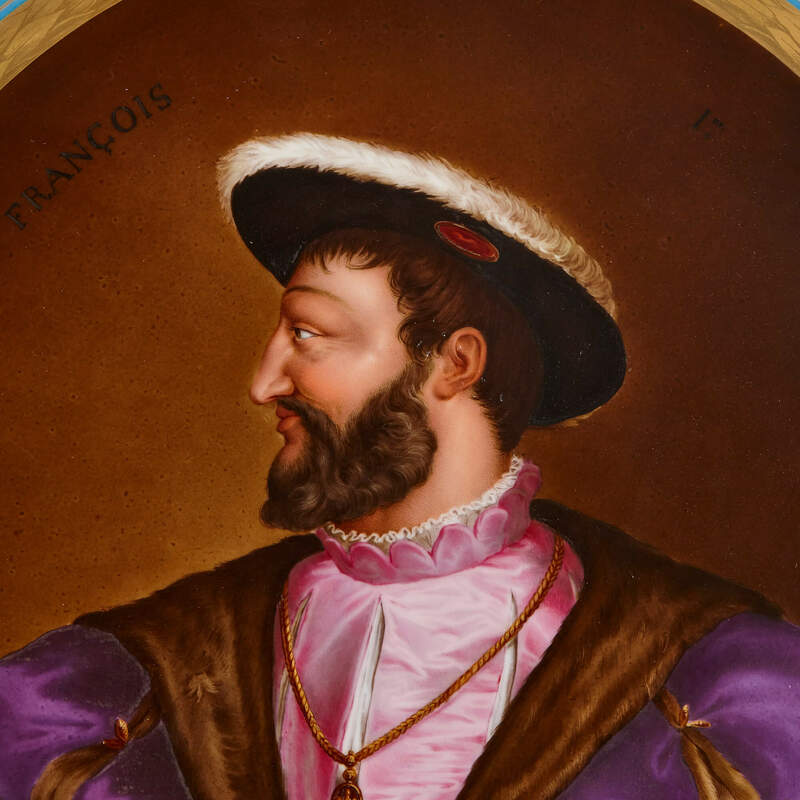 Both kings were renowned patrons of the arts, and it is for this reason that they are perhaps the monarchs most associated with the French Renaissance. 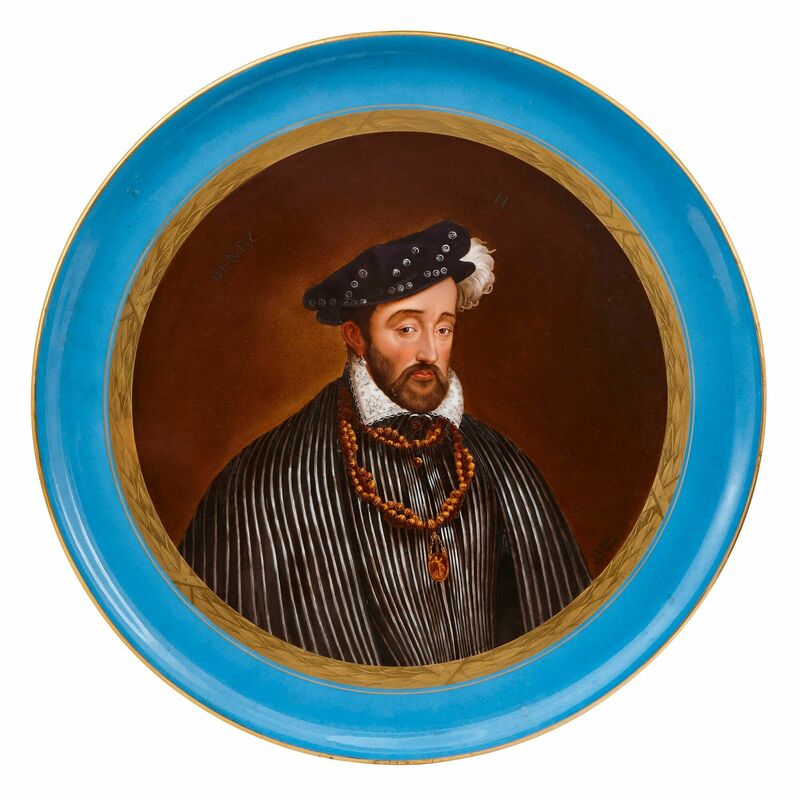 The portrait of each king has been created after famous portraits by the Renaissance artists Titian (c. 1490-1576), who painted Francis I, and Francois Clouet (c. 1510-1572), who painted Henry II. 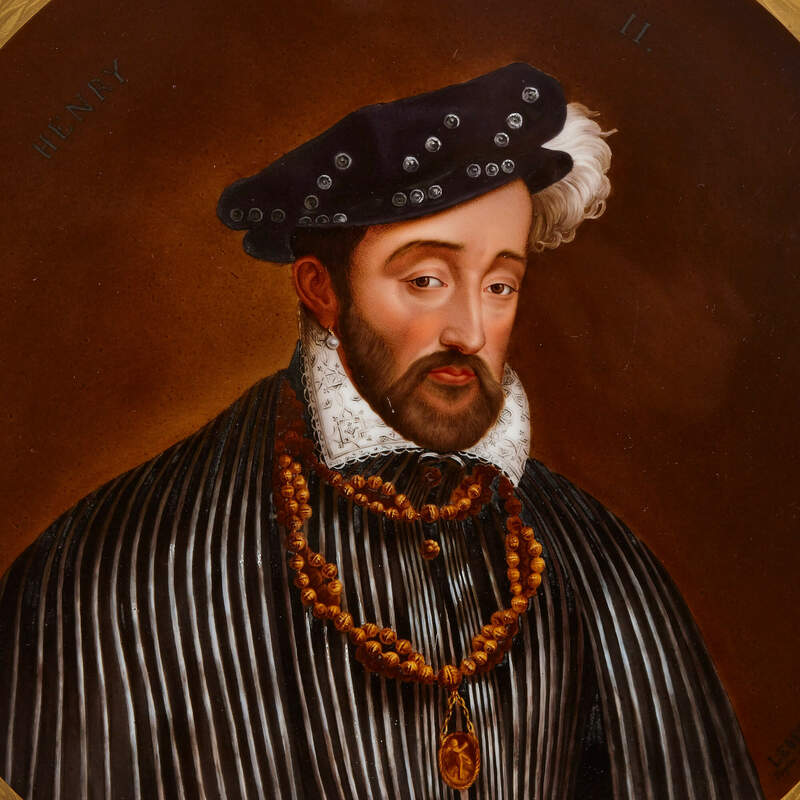 Titian's portrait currently hangs in the Louvre in Paris, while Clouet's is held as part of the British Royal Collection at the Palace of Holyroodhouse in Edinburgh. 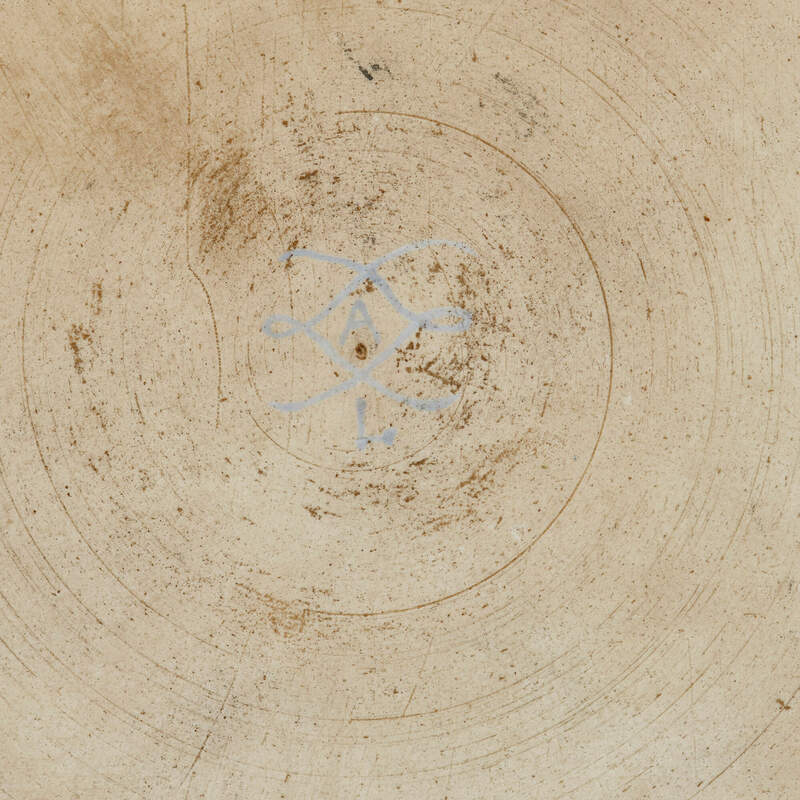 Each portrait is set on a rich reddish-brown ground which bears several inscriptions. 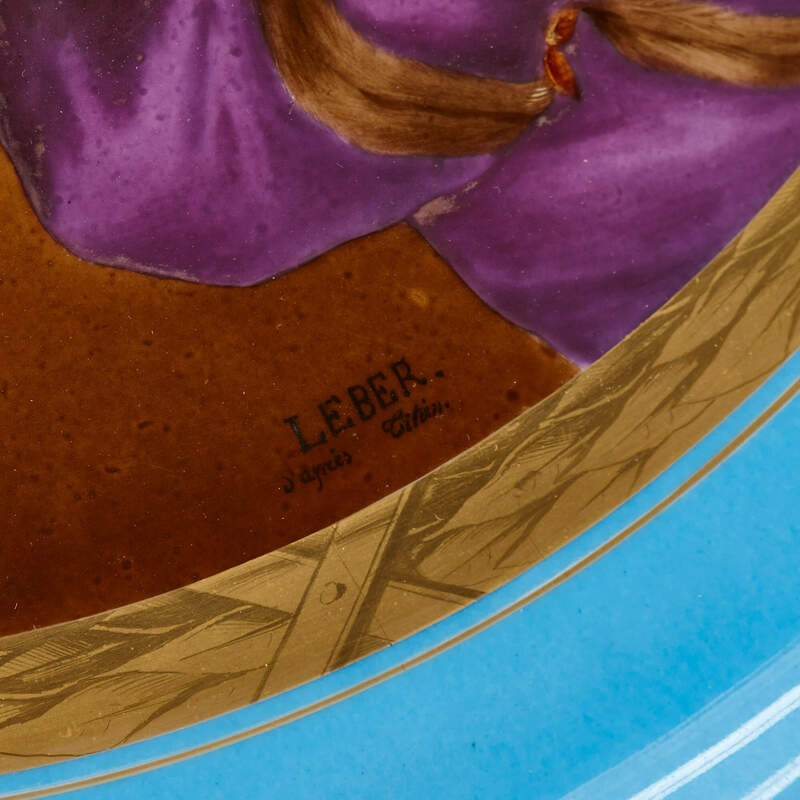 One plate contains the title 'Henry II' as well as the signature 'Leber / apres Maurin', while the other plate is titled 'Francois I' and is signed 'Leber / apres Titian'. The portraits each sit inside a gilt border within an outer rim finished in the famed Sevres 'bleu celeste' (turquoise blue). 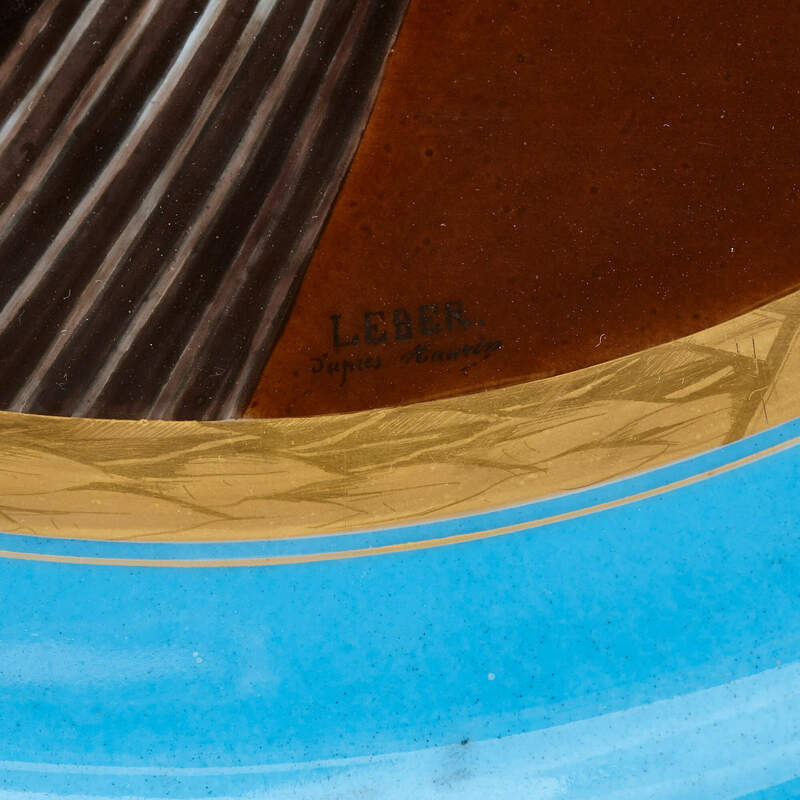 There is an interlaced-L mark for Sevres on the underside of each plate. This is a beautiful, large pair of plates which will make excellent decorative chargers and could be mounted onto a wall. 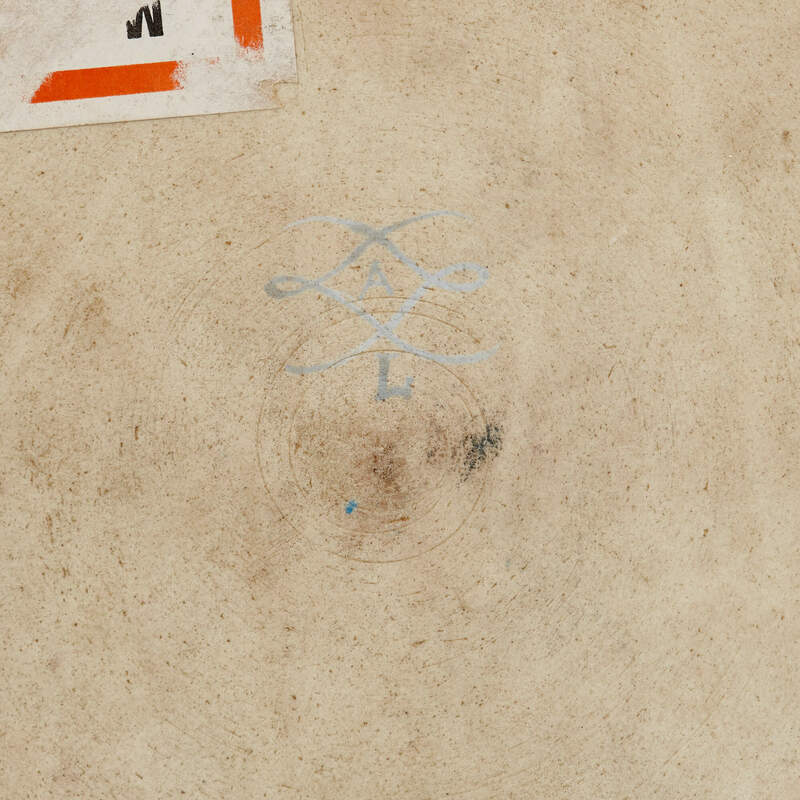 They could also make an excellent set of three with this third plate.